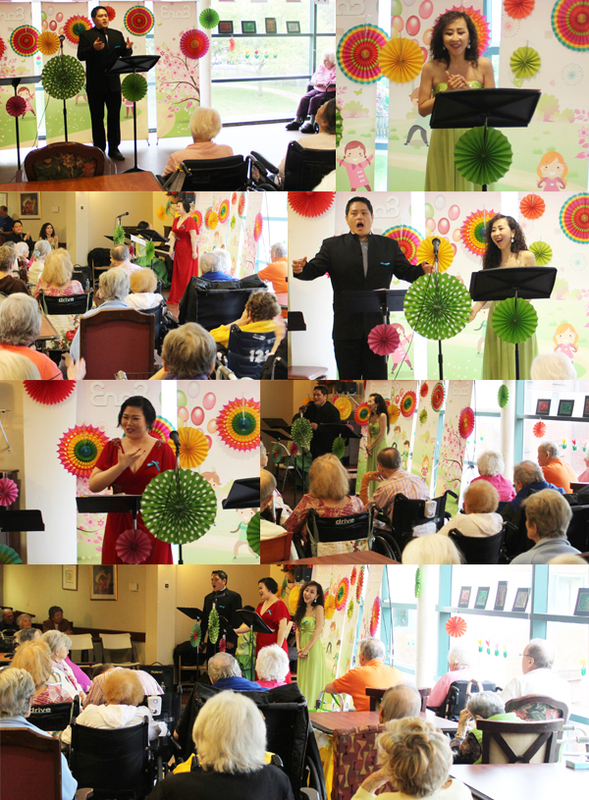 On May 15th, EnoB visited The Buckingham at Norwood Care & Rehabilitation Center . 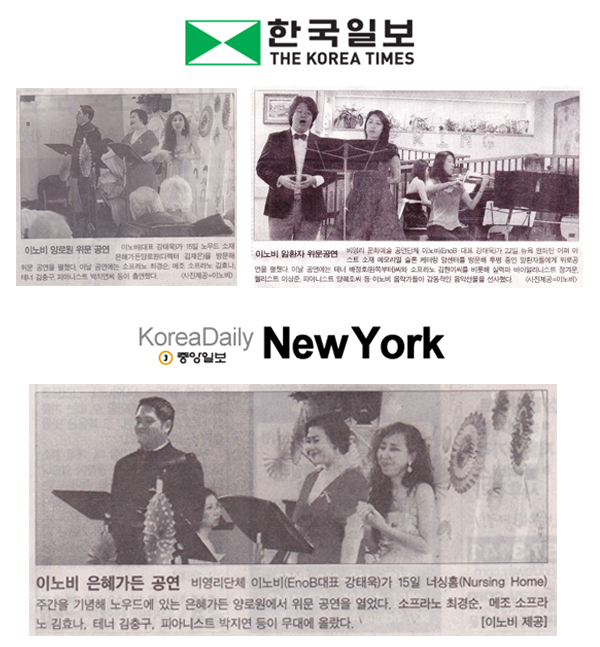 We performed Korean traditional music and musical songs. 아름다운 재단 USA 갈라의 이노비 공연! 5월 1일, 아름다운 재단 USA의 갈라에 이노비가 초청되어 브로드웨이 뮤지컬 곡을 열창하며 좋은 시간을 보내고 왔습니다. 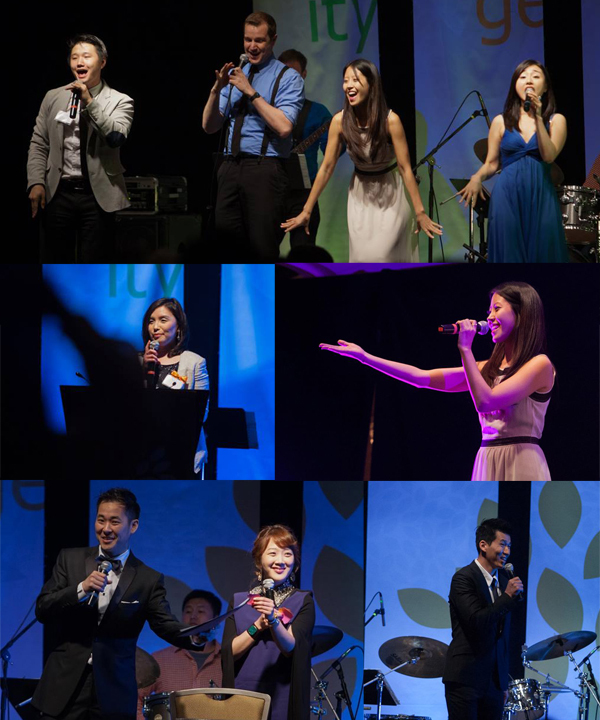 On May 1st, EnoB was invited to attend The Beautiful Foundation USA Gala. 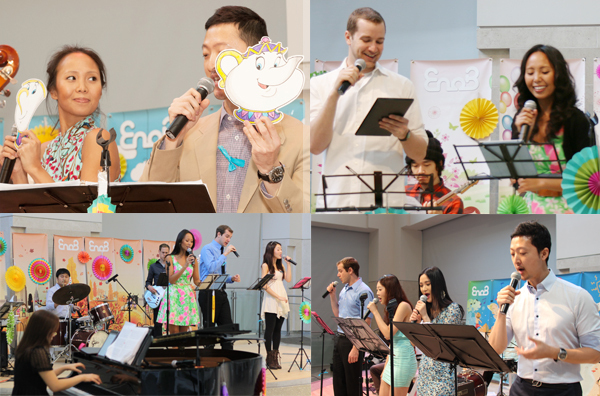 EnoB musicians performed ‘ Let it go’ (Frozen), ‘On my own’(Les Miserable), ‘Hakuna Matata’(Lion King). 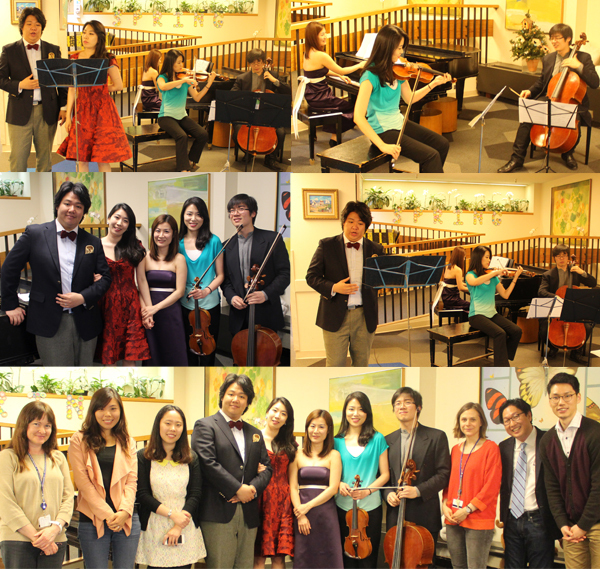 This performance was enjoyed by all! 5월 10일, 이노비는 유방암 예방 및 바른 정보 알리기에 도움이 되고자 홀리네임 병원이 주최하는 ‘Walk for Mom’ 행사에 참여하였습니다. 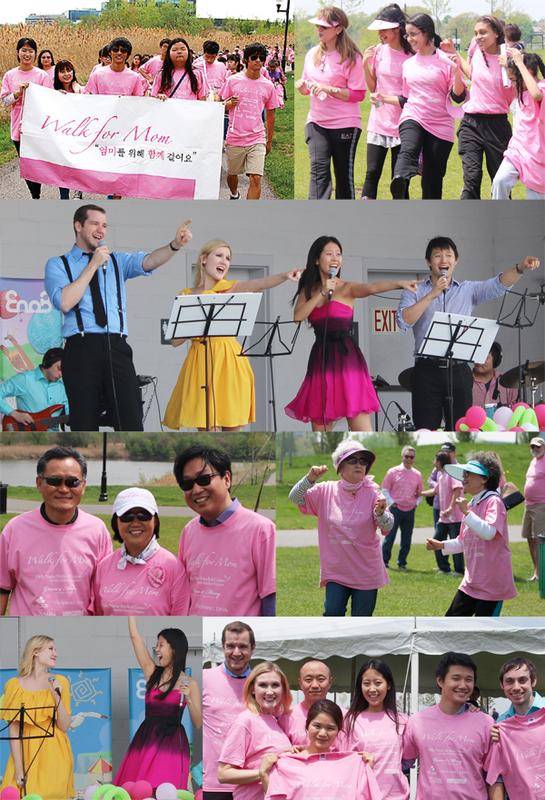 On May 10th, EnoB musicians performed at the walkathon ‘Walk for Mom’ sponsored by the Holy Name Medical Center to support the campaign for the Prevention of Breast Cancer . 아래 링크를 통해 이번 공연을 확인해보세요! 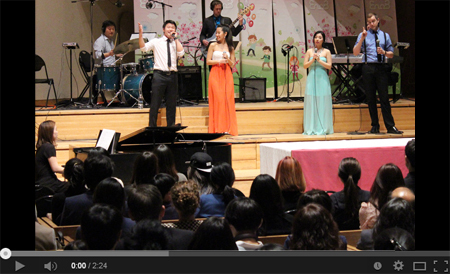 Click below to watch the EnoB Benefit Concert Video! 5월 2일, 서울시 어린이병원의 자폐, 지적장애를 가진 아이들과 중증 소아환자들을 위한 공연을 하였습니다. 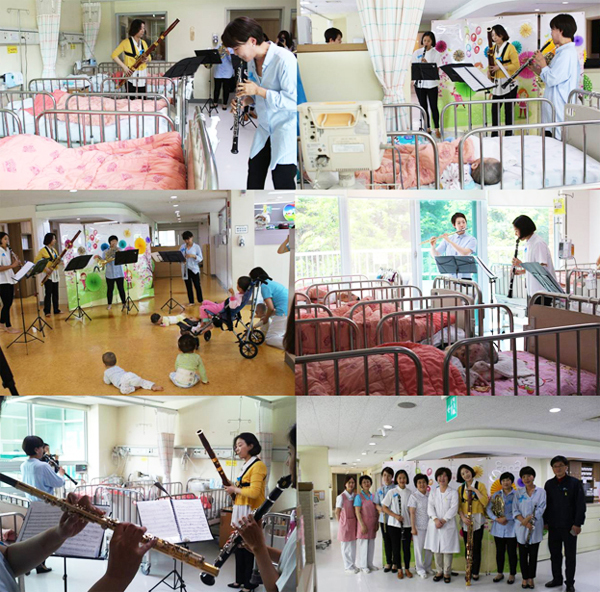 On May 2nd, we held a concert for young patients and disabled children at the Seoul Children’s Hospital. 5월 10일, 지멘스 모바일 클리닉과 함께 갈현동 지역의 저소득층 가정의 어린이들을 찾아가 디즈니 뮤지컬 음악으로 즐거운 시간을 보냈습니다. 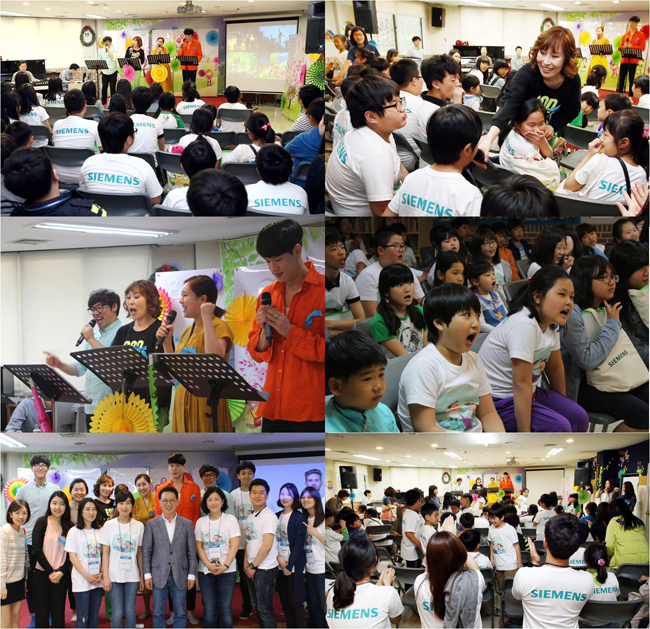 On May 10th, EnoB Seoul visited Galhyeon-dong and held a concert for children from low-income families. 이노비를 후원해주고 계신 정성문 블리스 한의원 원장님을 소개합니다! 정성문 원장님은 뉴욕, 뉴저지, 워싱턴 D.C 전역의 총8곳에 지점을 둔 블리스 한의원의 원장님으로 일하고 계십니다. 블리스 한의원은 블리스라는 이름처럼 세상 사람들에게 기쁨과 축복이 되고자 하며 우수한 한국의 한의학을 전세계에 알리고자 하는 사명감을 가지고 있습니다. 원장님께서는 2년 전 류은주 이사님의 소개로 이노비를 알게 되셨고 Spreading Happiness라는 문구가 블리스 한의원의 모토와 많이 닮아 있어 관심을 가지게 되었다고 하십니다. 음악과 침이라는 도구만 다를 뿐 사람들을 치유하고 희망을 준다는 사실에 공감을 하셨다고 합니다. 정신적으로든 육체적으로든 모두가 아픈 환자인 시대 속에서 웃음은 가장 훌륭한 치료방법이 될 수 있다고 하시며 이노비의 Spreading Happniess사업은 반드시 필요한 사업이라 말씀해주셨습니다. 정성문 원장님의 말씀에 힘입어 이노비는 앞으로도 더욱 더 열심으로 소외된 이웃들을 찾아가도록 하겠습니다. EnoB Donor Dr. Sung Mun Jung. 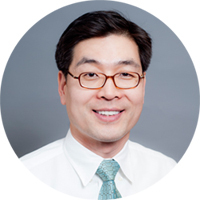 Sung Mun Jung is a Director of the Bliss Acupuncture Wellness Clinic and a big donor to EnoB. Like its name, Bliss Acupuncture Wellness Clinic wants to improve people's health through the techniques of traditional Korean medicine. When Dr. 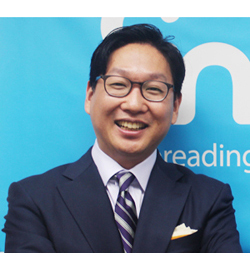 Sung Mun Jung heard EnoB's motto, Spreading Happiness, he thought it was similar to his own for his wellness clinic, Bliss. Since he sympathized with our Motto, he decided to donate his time and money to EnoB. He also believes in the power of a smile and music is one of the most powerful tools to make people smile. He feels that EnoB is necessary in the contemporary world; people need happiness in their lives, particularly when they are not well. We want to say thank you, Dr. Sung Mun Jung and we will continue to do our best to spread happiness. 김윤범 군, 이노비 자원봉사상 수상! 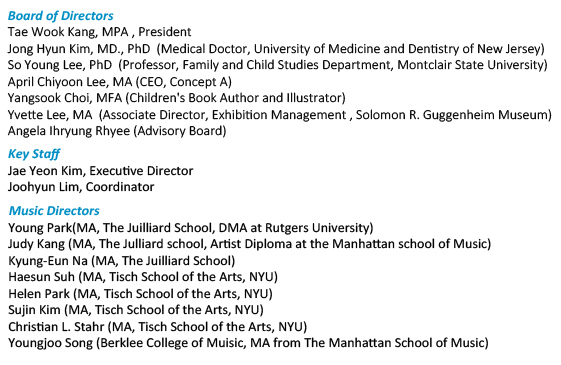 이노비에서 주니어 스탭으로 열심히 활동해오고 있는 김윤범 군(10th grade, Tenafly High School )이 그 동안 자원봉사를 통해 몸소 행복나눔을 실천한 것을 인정받아 이노비 퍼블릭 서비스 어워드(이노비 자원봉사상)을 수상하였습니다! 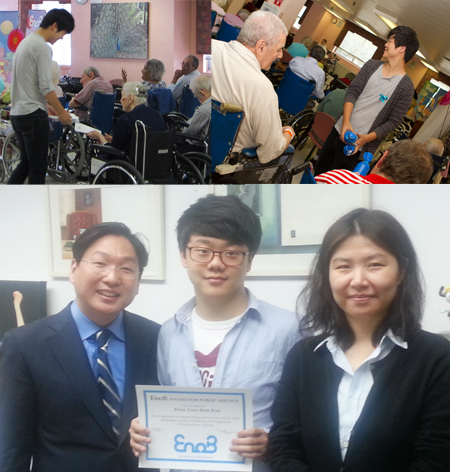 Yoon Beom Kim(10th grade, Tenafly High School) received an EnoB public service award for volunteering to spread happiness as a Junior Staff member of EnoB!